Happy Monday GlossyGlammers! I hope everyone had a fantastic weekend! Mine was good but went by far too quickly which is nothing new. A couple weeks ago the beautiful Brigette at http://brigetteramos.com/ shared her Sephora 20% friends and family discount to a few of her Twitter followers. I was able to snag a few things I had my eye on. Please stop by Brigette's blog, she's got some great posts and reviews! 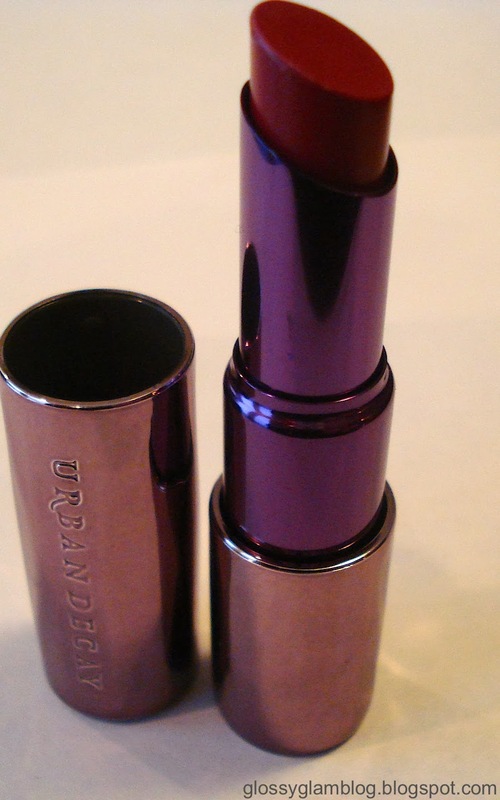 First and most importantly, I finally ordered the Urban Decay Revolution Lipstick which I've read sooooooo much about! I ordered the color Manic which is a "soft wine". 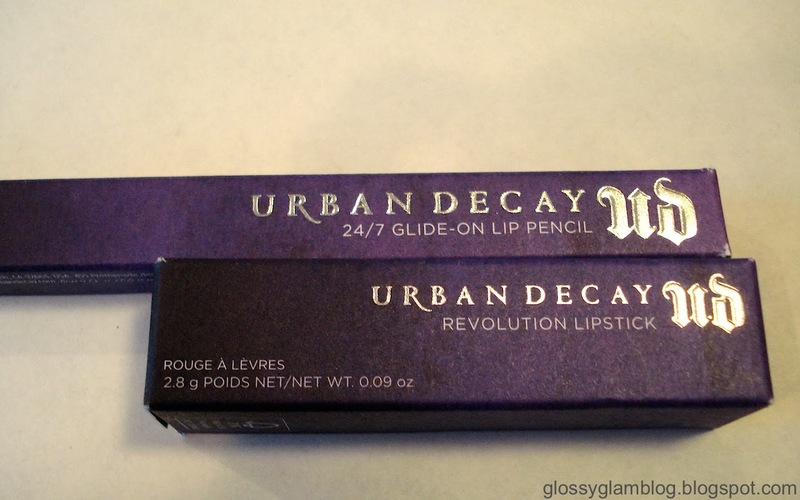 I also ordered the matching 24/7 lip pencil. 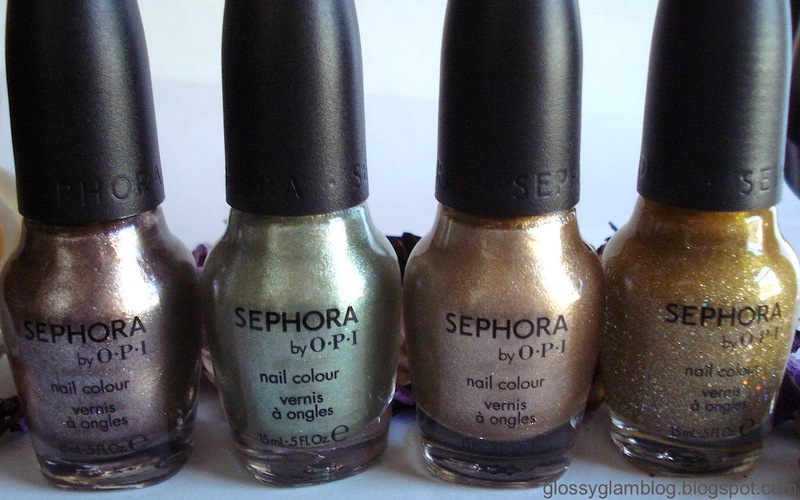 I also ordered a few of the now discontinued Sephora by OPI polishes. I wanted some shimmery colors so I ordered Already Famous, A Color That Can't Be Tamed, Keep Me on My Mistletoes, and Looks Like Rain, Dear. Sadly, I can't find these polishes on their website anymore so they must really truly be sold out now. How sad because they were discounted to such a great deal! 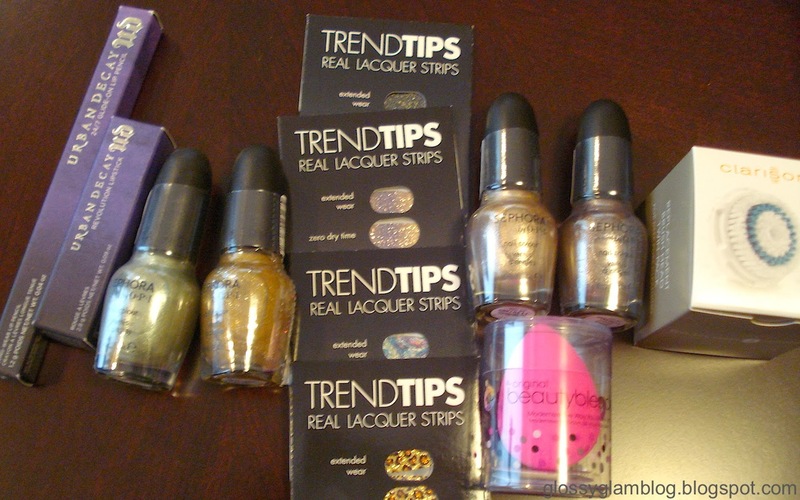 I ordered 4 different designs of the TrendTips nail polish stickers which I LOVE! Again, I don't see them on the Sephora site anymore which makes me sad so I'm very happy that I stocked up. I probably have about 10 at home right now. They are super easy to apply and of course there's no drying time, which is one of my biggest problems when applying real nail polish. I also purchased the Beauty Blender which I've had on my radar for a while. I'm very curious to try this little sponge. I know it's really loved out there but I truly can't see how a $20 sponge can be worth it so we shall see! The last thing I bought was a 2 pack of replacement brushes for my Clarisonic which I love. So that's my little haul from Sephora. I'll post a real review of the Revolution Lipstick and perhaps some NOTD (nail of the day) pics too. Thanks for stopping by, love your blog! I was already a Twitter follower but now I'm following on GFC and bloglovin as well! I'm so ready for Sephora's friends & family sale! I'm gonna be picking up a beauty blender too. I'm on my fourth one right now, & I absolutely love it! Thanks for sharing this haul! Do you know when the F&F sale will be?? I know they are having a sale now but it's only for VIBs and I'm $50 away from VIB status. I still haven't tried the beauty blender yet, I def. will this weekend though!